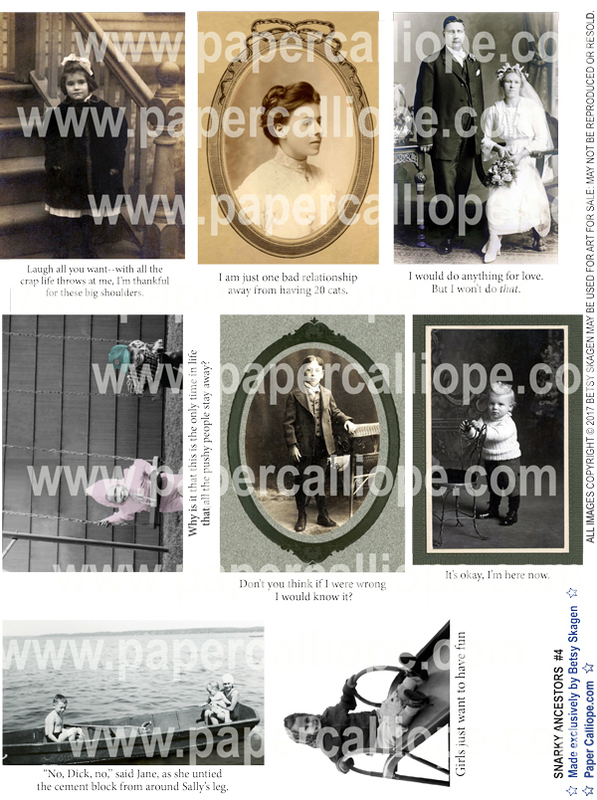 Bring your card and craft projects to a whole new level with my snarky ancestors. Although my relatives may never forgive me, everyone else will get a hoot out of their comments. It's your choice--use both the image and the snarky comments or just the image!